Blogger or Blogspot is one of the best blogging platform from Google. 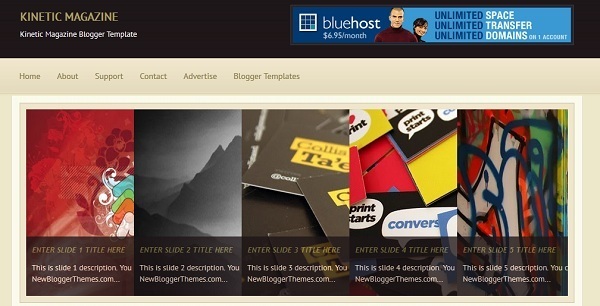 Blogger platform is easy to use and free with great CMS features. After sign-up, you need to upload a beautiful template (XML file) for your blog or website. 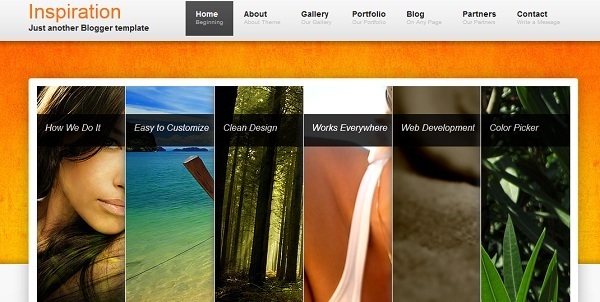 We will help you to get a beautiful and responsive templates for your blog. 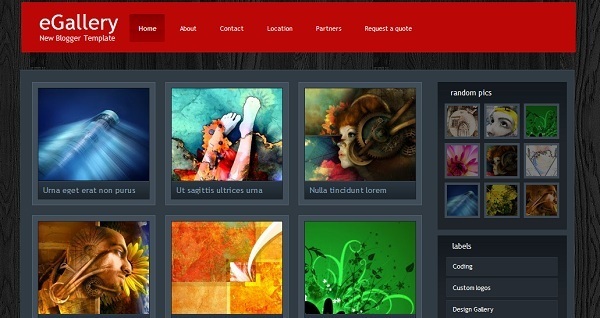 There are so many websites available on the internet who provides beautiful responsive and clean templates. 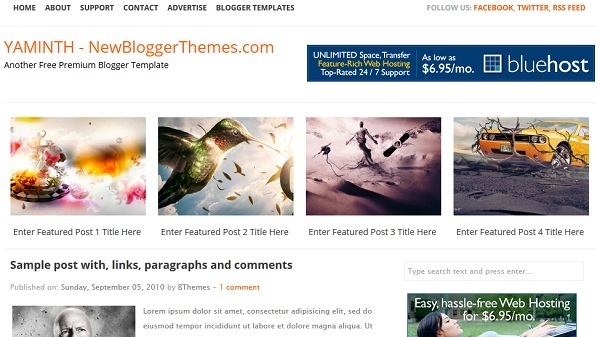 But finding a right template from different websites is really difficult so here we have collected some best free blogger templates, every template comes with a clean code, user-friendly design and some of them are responsive. 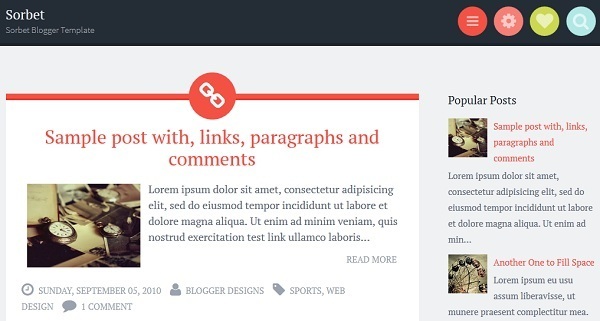 Now enjoy the best collection of free blogger templates 2015 at one place! Adaption is a responsive, simple and elegant blogger template with 3 columns layout, left and right sidebars, social profiles, navigation menus, mobile only widget area, related posts and many more features. Writr is a minimalist, content-oriented responsive blogger template with 2 column, left sidebar, multi-level navigation menu, share buttons, Google fonts and icon fonts and perfect for your personal blog. 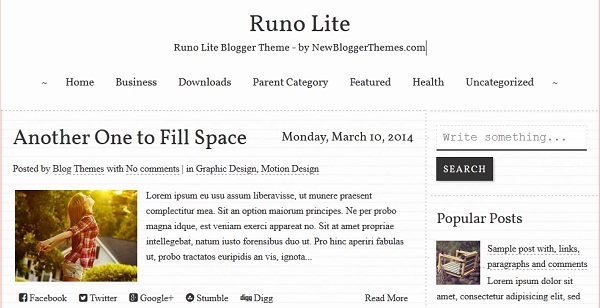 Runo Lite Blogger template has been made especially for poets and writers. It is a lightweight, clean, simple and spacious and has a responsive design, navigation menu, share buttons, auto read more, 2 columns, right sidebar, 3 columns footer and more. 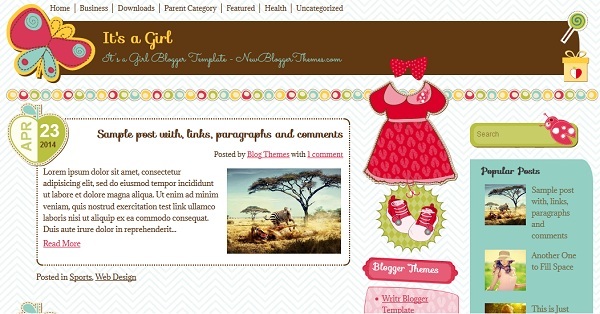 It’s a Girl is a minimal responsive blogger theme designed for baby girl blogs with navigation menus, 3 columns, 2 right sidebars, rounded corners, scroll to top button, custom search box and more. Hudson is a responsive 3 columns grid based theme and suitable for blogs or business websites looking for a clean and modern layout. It has left(fixed) and right sidebars, auto post summaries, icons fonts, Google fonts, animated search box, scroll to top button and more. 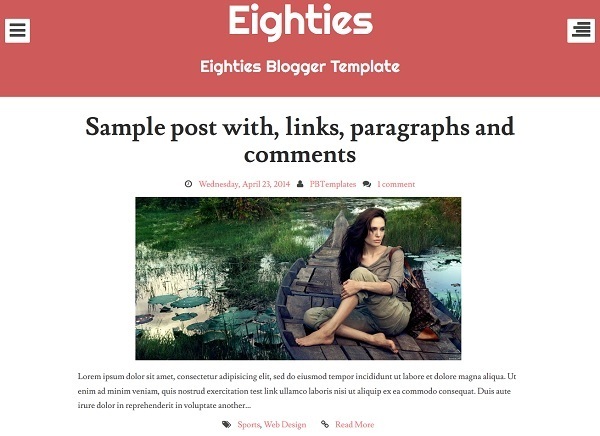 Eighties Blogger Theme is a Single Column, 3 Columns Footer, Drop-down Navigation Menu, Expanding / Collapsing Sidebar, Minimal Blogger Template for your Personal Blog. Sorbet Blogger template has a mobile-friendly design looks great on any device, while navigation menu, search box, social links, and widgets are tucked neatly away in the header for easy access that doesn’t crowd your content. Moments is a Responsive Blogger Template for Personal Blogs with 2 Columns Layout, Navigation Menus, Social Buttons, Google Web Fonts, Right Sidebar and More Features. 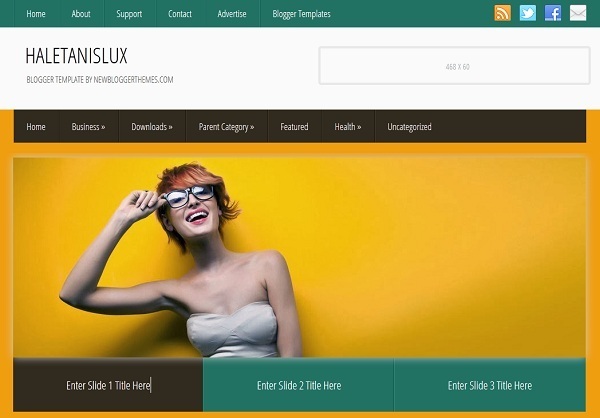 HaletanisLux Blogger Template has 2 Columns Layout with a Header Banner and 4 Columns Footer, Magazine Style, Content Slider, Navigation Menus, Header Banner, Social Buttons, Right Sidebar and More. Kinetic Magazine is a Free Premium Blogger Template with 1 Sidebar/2 Columns, Featured Post Content Slider, Featured Post Carousel, Top Navigation Menu, Social Buttons, Header Ad Banner, and More Features. MagTop is a beautiful blogger template with 2 Sidebar, 3 Column Footer, 3 Columns, Adapted from WordPress, Elegant, Featured Section, Fixed width, Fresh, Grey, Left and Right Sidebar, Left Sidebar, Magazine, Red, Right Sidebar, Slider, Tabbed widget and Top Navigation Bar. 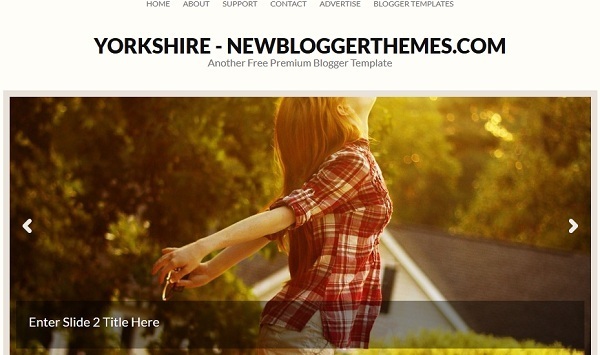 Yorkshire comes with 1 Sidebar, 2 Columns, 3 Column Footer, Adapted from WordPress, Brown, Elegant, Featured Section, Fixed width, Fresh, Grey, Magazine, Red, Right Sidebar, Slider and Top Navigation Bar. 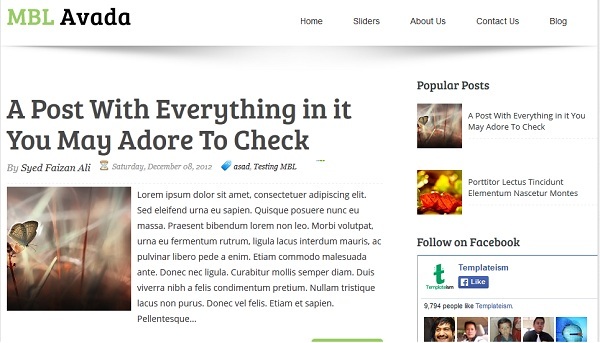 Yaminath blogger template is 1 Sidebar, 2 Columns, 3 Column Footer, Adapted from WordPress, Black, Elegant, Featured Section, Fixed width, Fresh, Header Banner, Magazine, Orange, Right Sidebar and Top Navigation Bar. 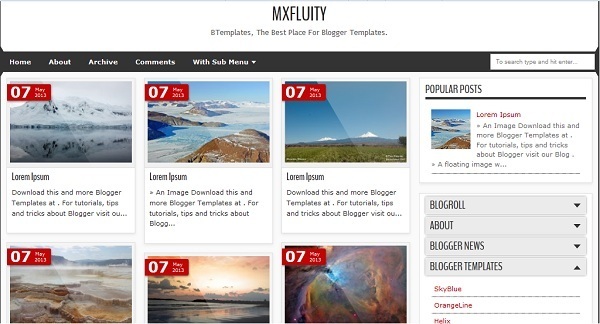 Mxfluity is a free blogger template from WordPress with an excellent layout for blogs about any general topic, travel or photography. 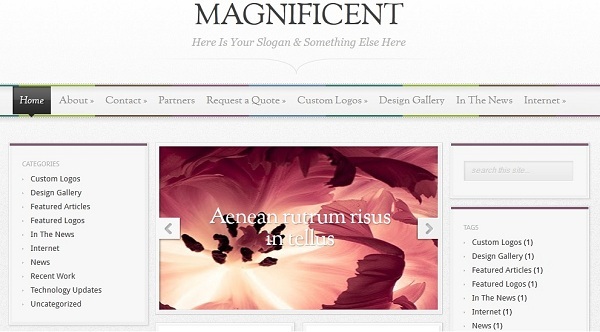 Magnificent is a free and premium blogger template with left and right sidebar, 4 columns, WordPress Look, Magazine Style, Featured Content Slider and Gray Background designed for any type of Blogs. 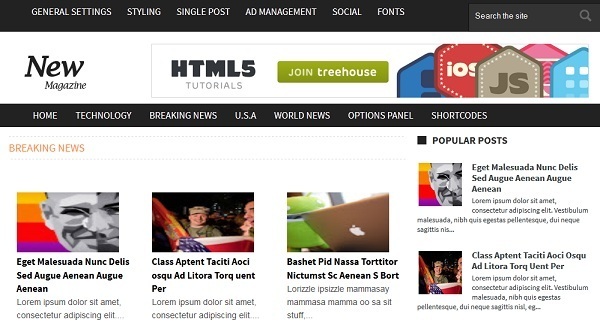 News Magazine is a free blogger template adapted from WordPress with 4 columns, 4 Columns Footer, Web 2.0, Magazine Style and dark blue color Scheme for Technology, News bulletin, Gadgets and Telecom type of Blogs. 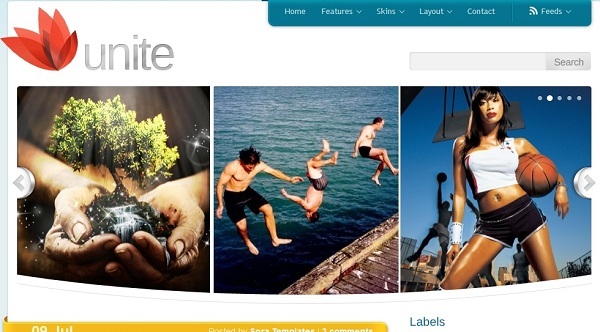 Unite is a free blogger template with Right Sidebar, 2 columns, 3 Columns Footer, Featured Content Slider and Email Subscription Form for any type of Blogs. 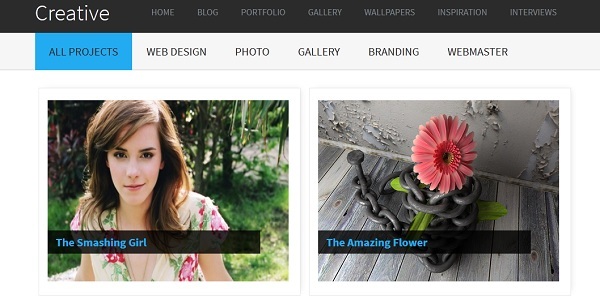 Creative Gallery is a free multi-style portfolio blogger template with 2 columns, 3 columns footer, SEO Friendly and best for wallpaper and portfolio type blog or website. Avada is a flexible and clean free blogger template with 1 Sidebar, 2 columns Blog Layout, 3 Footer, Fixed Width, Light Greenish Color Scheme for portfolio, corporate, business and products. It is Built with CSS3 and Lightweight Blogger XML. 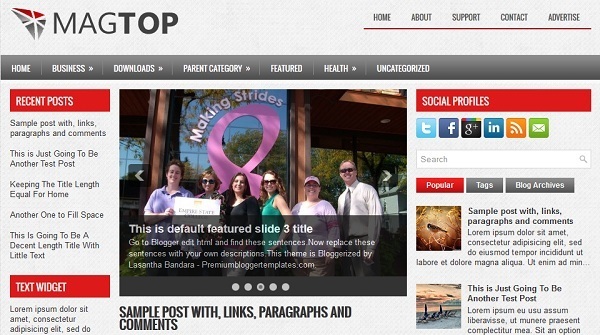 Inspiration is a free and premium blogger template adapted from WordPress with 2 columns, 3 Columns Footer, Header Banner with Featured Content Slider for any type of Blogs. 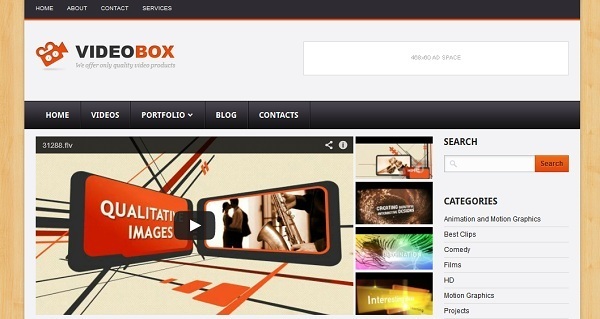 VideoBox is a free and premium blogger template with 1 Right Sidebar, 4 columns, 4 Footer and great layout for video blog or video websites. GrungeMag is a free and premium blogger template with 3 columns, right sidebars, fixed width, WordPress Look and excellent layout for any type of blogs. Boardwalk is a free and premium blogger template with 2 columns, left sidebars, WordPress Look, Blue Background and excellent layout for any type of blogs. 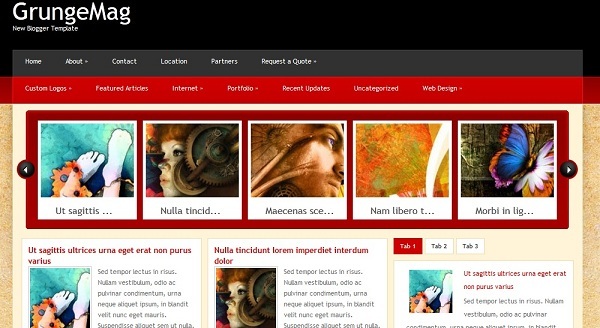 eGallery is a free and premium blogger template with gallery style 2 columns, right sidebars and excellent layout for photo type of blogs. 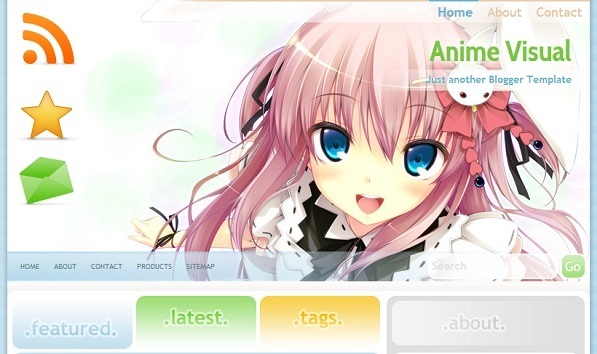 Anime Visual is a free blogger template with 1 right sidebar, 2 columns, WordPress Look, Anime Style, Featured Content Slider and Blue Background designed for any type of Blogs. 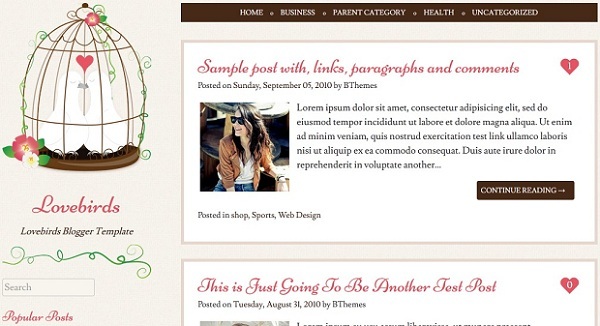 Don’t forget to share with your friend and colleagues, if your liked these beautiful blogger templates. Get Free Blogging Tips & Technology updates in your Email !!! I use SEMRush for Keyword Research & Boost Organic Traffic. Do You? Highly recommended #1 SEM & SEO Tool for overview of Traffic, Keywords, Backlinks and more. You can search your competitors URL to analyze keywords & crush your competition. How to Export Saved Passwords from Firefox? Disclosure: We at ITBloggerTips.com receives compensation from the companies whose products we review or promote. We are independently owned and the opinions expressed here are our own.